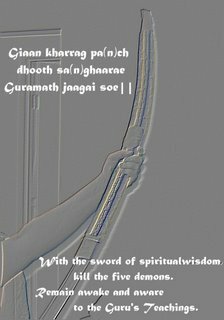 Daughters of the Khalsa: Sword of the Khalsa! ohh Bhenjee - I have done no Sevaa whatsoever. If you take something away from my blog, it is all Guru Jee di Kirpaa.. but He has not wished me to do any Sevaa as of yet. 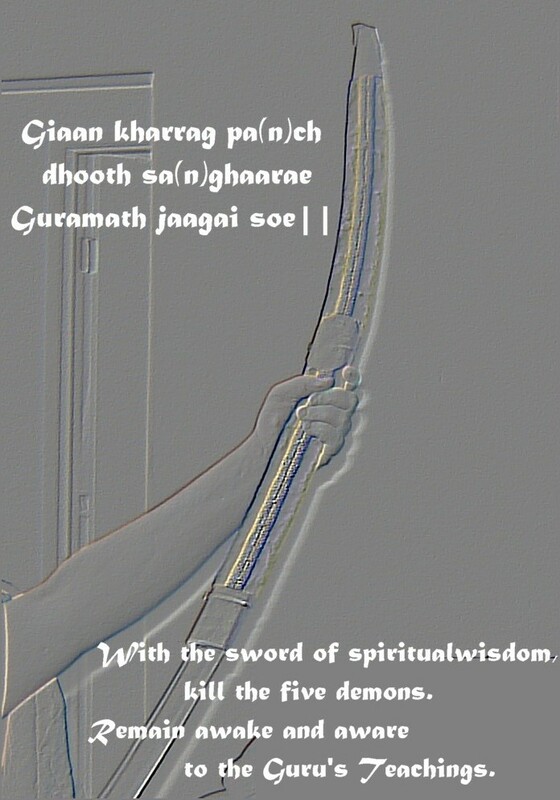 Lekin Guru Jee Maharaj di sundar attae beanth Kirpaa hai Jee, jo Uhna ne Sikh banaae han, jinnaa kolon Ohu Apnae Khalsa Panth di Sevaa karaunde ne.. Thank Guru Jee for making Sikhs like you, and blessing you with the gift of Sevaa. Waheguru Jee Kaa Khaalsa Waheguru Jee Kee Fateh!